Metal detecting is something that you can do as a hobby, or you can do it as a passion. Those that take their treasure hunting seriously know that Minelab makes some of the best metal detectors in the world, and when Minelab comes out with an innovation in metal detectors it is something worth looking into. The Minelab Excalibur 800 is part of the Excalibur line of metal detectors, and the features along with the quality engineering offered on the Excalibur series of metal detectors are enough to make anyone serious about their treasure hunting to sit up and take notice. The Minelab Excalibur 800 has an impressive list of features, but more important than its impressive features is the way that Minelab took the serious treasure hunter in mind when they designed the Excalibur series. Hobbyists and enthusiasts alike will appreciate the quality represented by the solid construction of the Minelab Excalibur 800, and they will also appreciate the engineering that was put into the Minelab Excalibur 800 that allows them to take their metal detecting to areas that they may have never been able to experience before. One of the first things that you will notice about the Minelab Excalibur 800 is its ability to find valuable items over a broad area and at impressive depths. A single frequency metal detector is a great thing for the hobbyist. They work well and they can do the job just fine. A dual frequency detector can take the hobbyist to the next level and help them to find valuables within a much broader area. The Minelab Excalibur 800 offers 17 full frequencies that take this unit way beyond the standard metal detector area. When you need a metal detector to help you avoid wasting time digging for garbage but at the same time be able to help you find valuables within a wide range, then you need to look at the professional power of the Minelab Excalibur 800. Have you ever dug in an area based on your detector’s reading and found a nail? The Minelab Excalibur 800 offers an exclusive feature called the iron masking feature. This uses the 17 frequencies that the Minelab Excalibur 800 puts out and finds the valuables that are near the junk you do not want. Iron can usually cause havoc with a metal detector, but the Minelab Excalibur 800 will help you find that valuable gold ring that is sitting right next to that iron nail with no problem. Do not miss out on your chance to find the buried treasure you are looking for, benefit from the Minelab Excalibur 800’s iron mask feature and find all of the treasure an area has to offer. The exciting part about treasure hunting is to be able to go where not many people can go to find the treasure that has real value to it. 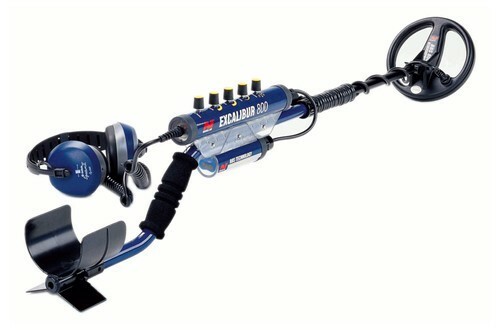 The Minelab Excalibur 800 offers you that opportunity because it is able to be used underwater. The Minelab Excalibur 800 can be submerged to depths of up to 200 feet without causing any interference, and it functions just as well in salt water as it does in fresh water. To make the package complete, the Minelab Excalibur 800 also allows its headset to be completely submerged as well. This means that you can take your entire Minelab Excalibur 800 with you on your next deep sea treasure hunt, and never have to worry about damaging your expensive equipment. 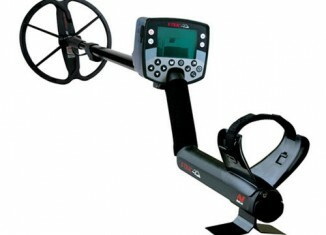 We are going to talk about some things that you should look out for when buying used metal detectors. There are a few tips and tricks that you can use to make sure that you get the best deal without getting ripped off. After all, no one likes to be scammed. It does not matter what you are buying, you have to stay on your toes.